Color composite image of the Chandra Deep Field South of 940 ks (pixel size = 0.984 arcsec, smoothed with a s =1 arcsec Gaussian). 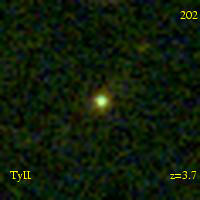 The image was obtained by combining three energy bands: 0.3-1, 1-2 and 2-7 keV. Click on the image to enlarge it . The Chandra Deep Field South (CDF-S) is one of the deepest observations obtained with the X-ray Chandra satellite, which stared at the same path of the sky for 11 days. 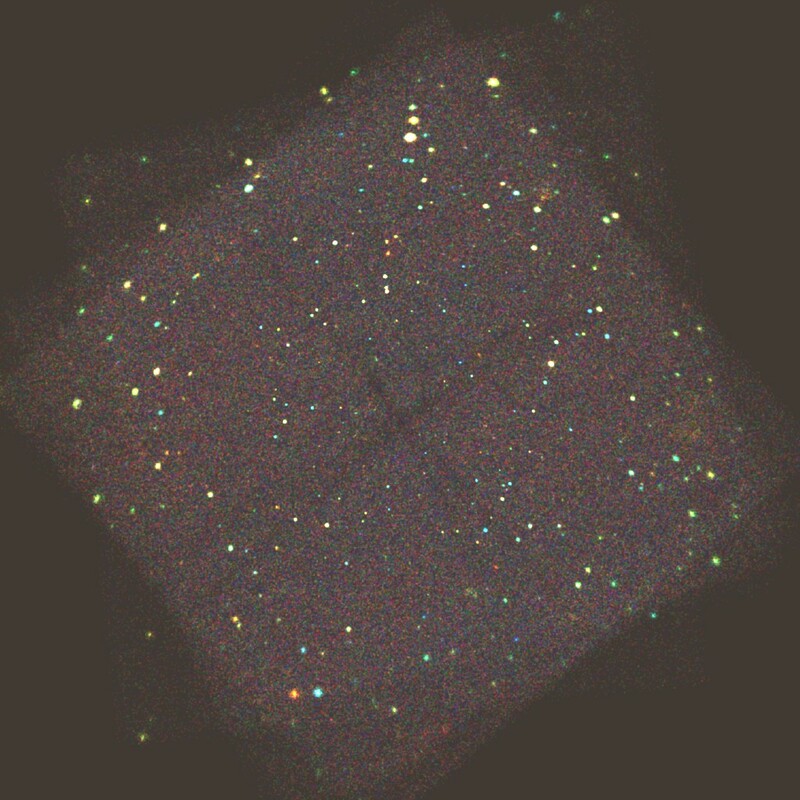 The final image is the result of the co-addition of 11 individual Chandra ACIS-I exposures obtained in 1999-2000, for a total of one million seconds (1 Msec). The project was lead by Riccardo Giacconi. The nominal aim point of the CDF-S is RA=3:32:28.0 , Dec=-27:48:30 (J2000), covering 0.11 square degree. After these observations, the CDF-S has become the center of one the most comprehensive multi-wavelength campaign ever carried out with ground-based and space observatories. ESO press release on March 13 , 2001. Chandra press release on March 21, 2001. APOD: The Chandra Deep Field South has been the Astronomical Picture of the Day on March 28, 2001.